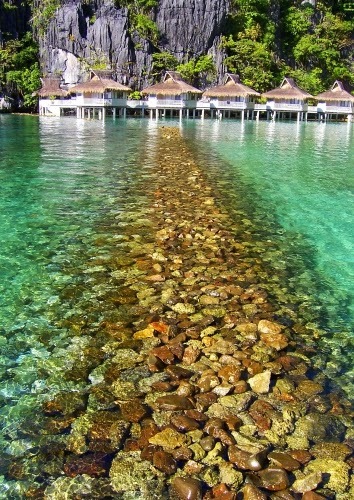 The easiest way to see the Bacuit Bay is on an island hopping boat. These boats carry 6-12 people and will visit 4 or 5 islands in a day. The boats usually take set routes named A to D, but can vary depending on tides and weather. 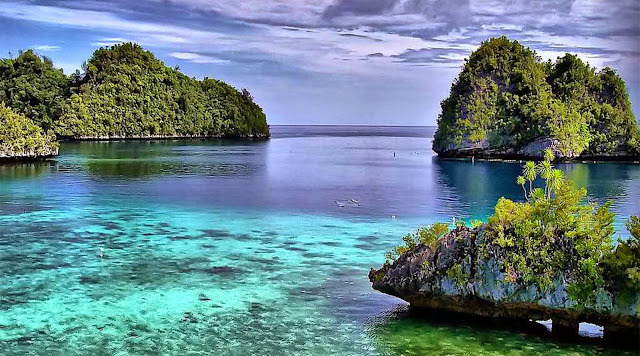 The trip takes one day (cca 9:00-16:00), normally includes a good lunch and can be arranged from most guesthouses and travel agencies in El Nido. If you have time, go for overnight island hopping (3 days 2 nights is a good option) where you get to camp on deserted island ala Survivor style. (Though most places you can be dropped at are included in the daily island hopping tours.) It gives you the best option to visit lots more islands that are included in those bundle package tours but at your own leisure time. Find a few more people to get a much better rate. Three Van companies are doing regular shuttle trips to El Nido, departing from San Jose bus terminal in Puerto Princesa. The ride with a van is quite rough though as the road is only partially paved properly and aircon-bus rides tend to be much more comfortable. If you are in a hurry (flight etc) then don't depend on timely departure as these minivans almost never depart on time. The departure time is actually when they start picking up people around town and actually get on the road 30-60 minutes later. Also they sometimes make you change minivans along the way once or twice and your luggage is tied on the roof and despite the covers can be becomes covered with heavy dust from the gravel road 1h before El Nido. 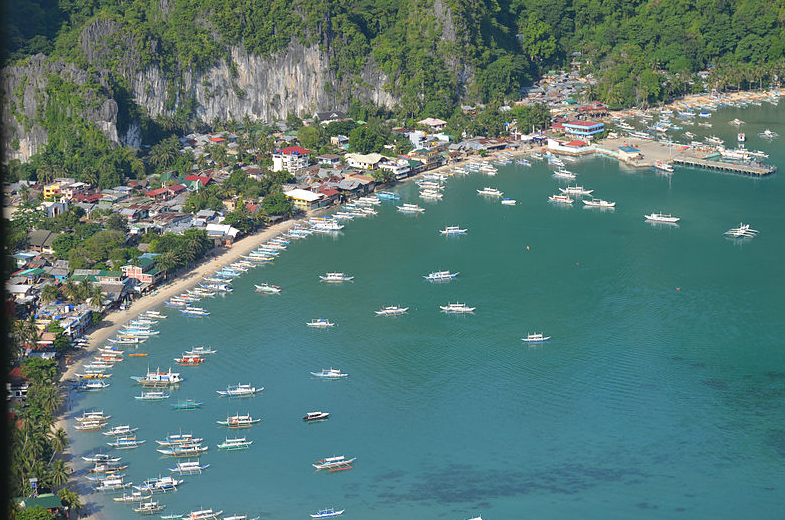 [Eulen Joy Shuttle Van] PPS-El Nido-PPS have daily trips from Puerto to El Nido at 7:30, 10:00 and from El Nido to Puerto at 7:30, 9:00, 13:00h. Phone: PPS +639494498858, El Nido +639494498858. Tickets are available at Artcafe Travel Center and other outlets. [Daytripper Palawan] is a new transport company that offers comfort and convenience. Pre-booking is a must at their website or by calling +63-917-8488755, +63-921-7423683. Air-conditioned RORO buses departs San Jose Bus terminal, Puerto Princesa and El Nido Market every 2 hours during the day and at 10pm and 4am during the night. These are relatively new buses and absorb bumpy roads much better than the smaller vans, and with more leg room. These buses do, however, make many stops along the way to pick up passengers, so the empty seat next to you will be filled eventually, and the stops can get quite annoying.